Love them or hate them, one family America can’t seem to get enough of are the Kardashian’s. I personally love them, want to be them and clearly want to have their wardrobe. 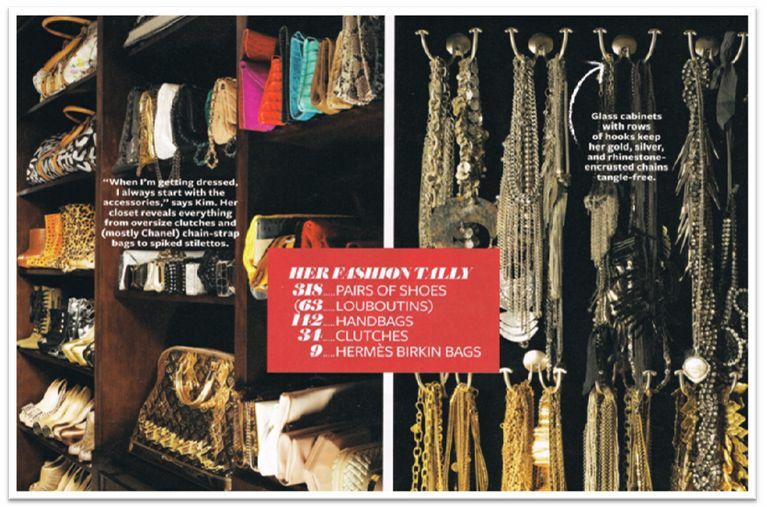 This months InStyle magazine gives us a look inside the closets of Kourtney, Kim and Khloe Kardashian. Kourtney’s staple mommy attire consist of denim cut-offs, linen Bermudas, jeans and a t-shirt. I’m not sure I have ever seen any of the Kardashian’s in a t-shirt…. 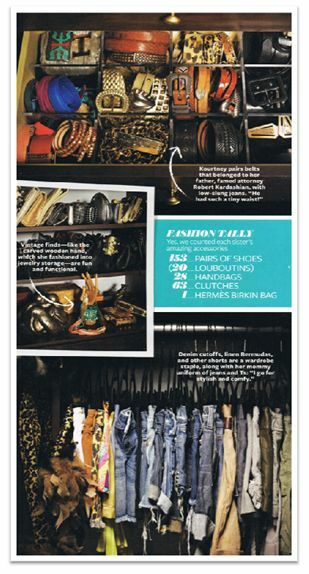 Kim’s closet features a lot of furs, jewelry and Loubotins, 63 to be exact. 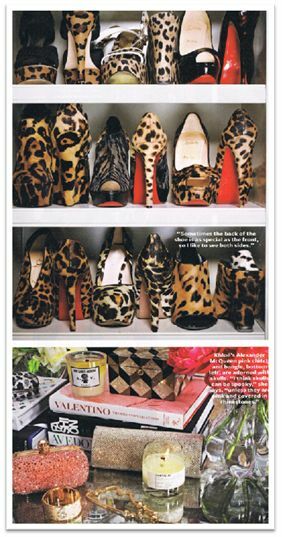 Oh Khloe I love you and your love for leopard!! Khloe has 71 Louboutins and an entire section of her closet devoted to, my wardrobe go to, the maxi dress. Another dark interest of mine, skulls. Scattered on Khloe’s counter are a number of skulls — from the candle to the clutch and the bracelet. So today, Khloe, you are my favorite. This entry was posted in Fashion and tagged closet, karsashian, leopard, maxi dress, skull. Bookmark the permalink.